When child seats are fitted with the adult seat belt, it must be the webbing of the seat belt holding the seat in place, not the seat belt buckle. If any part of the plastic seat belt buckle casing is on or over the plastic frame of the seat, it is an unsafe fit, which is called buckle crunch. Buckle crunch typically happens in vehicle's that have the female buckle on a long stalk, causing it to protrude out of the vehicle seat. However, buckle crunch can happen on buckles with a shorter stalk, if the wrong car seat is used. Buckle crunch is dangerous, because the plastic casing of the seat belt buckle is bent on or over the plastic of the child seat. This puts pressure on the casing, and in a collision, the casing could shatter - causing the car seat to not be safely restrained. The seat on the left is the Maxi Cosi Tobi, which is a forward facing group 1 seat that often avoids buckle crunch. The seat on the right is the Axkid Minikid, which is a rear facing group 1,2 car seat that also often avoids buckle crunch. If your vehicle has ISOFIX, it is useful to use it, as this removes the need for the adult seat belt. It is important to visit a retailer to buy an ISOFIX seat, as not all ISOFIX seats fit all cars. ISOFIX child restraints are normally classed as 'Semi Universal', and have a vehicle compatibility list. What if your current child car seat has buckle crunch? If you have checked your child’s car seat and found it has buckle crunch (example above), try fitting it in a different seating position in the car. Occasionally the seat belt buckle length differs, and moving the seat to a different position solves the problem. You can also check your model of child seat, on some seats there may be several ways to secure it, with one of those methods avoiding buckle crunch. If your child car seat and car are incompatible due to buckle crunch, you will have to replace the child seat with one that fits safely. Do all types car seats suffer with buckle crunch? No, only seats which use harness to restrain the child, and occasionally an impact shield, can have buckle crunch. It is dangerous because the seat belt is holding the child seat in place, and the child seat is restraining the child with a harness. In a collision, this puts a lot of pressure and force on the child seat, seat belt and buckle. High back boosters and booster cushions do not get buckle crunch, because the booster is simply a 'belt positioning' device, which lifts the child up so the adult belt can fit them safely. It is not dangerous for the buckle to sit over the frame of a high back booster - although you do need to make sure the buckle doesn't sit under and behind the frame of the seat, as this gives an unnatural belt route. Check with your vehicle manufacturer dealership, they may be able to fit shorter buckles into your car. There is a new law, which came out in July 2013, called R129, which includes iSize car seats. The aim of the new regulation is to make car seats easier to choose and use, which will hopefully reduce the rate of incorrect fitment, and in turn keep children safer. Last week the government website was updated which caused much confusion, this has now been amended. When children are traveling in an R44 approved seat, they may legally forward face from 9kg – although they are safer travelling rear facing for as long as possible. Most R44 approved infant seats will accommodate your baby to 13kg, or until the top of their head is level with the top of their seat. There are also R44 approved seats which will allow you to rear face your child up to 18kg, or 25kg. Only seats approved to R44.03 or R44.04 are legal to be used under this regulation. R129 approved seats requires babies to be rear facing to 15 months, by law, amongst other improvements. They must not forward face before this age. The two regulations are currently running alongside each other - you can legally use an R44 car seat, or an R129 iSize car seat. Although strapping your baby in might sound like an easy task, the truth is, it is one of the most common misuses on child car seats. Remove any thick, puffy or bulky clothing. Puffy jackets or padded snowsuits – even very frilly tutus or dresses can interfere with the way the harness sits on your child. The harness needs to sit close to your child’s body to work to the best of its ability, so ensure you remove anything that gets in the way. To keep your child warm, tightly tuck a blanket around them once they are strapped in or dress them in thin, warm layers. Ensure your harness is at the correct height for your child, an incorrectly adjusted harness will not only be uncomfortable for your child, but potentially dangerous too. The straps must be as level with their shoulders as possible. Pull the straps over your child’s shoulders, and ensure the chest pads are level. Pull the harness snug to your child’s body – the straps should be tight enough that you can just slip two fingers flat between your child’s body and their collar bones. ISOFIX car seats are considered safer than seat belt fitted child seats, because the risk of them being incorrectly fitted is reduced. However, not all ISOFIX seats fit all vehicles, and mistakes can still be made. You must check the vehicle compatibility list to ensure your ISOFIX car seat is compatible to your vehicle. Not every ISOFIX seat fits every car, so it is important that the child seat manufacturer confirms that it is a safe fit. 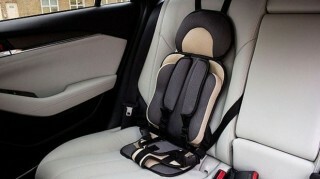 You can find the fitting list on the child seat manufacturer’s website. Don’t forget! The seat must also be suitable for your child! Once you have bought your seat, read the manual thoroughly. This will not only give you specific instructions on how to fit your seat safely, but you will also find information which is essential to your child’s continued safety. To begin fitting your seat in the car, locate the ISOFIX points in your vehicle and attach the ISOFIX guides if required. Once you have done this, release the ISOFIX arms, so they are extended, and ensure the support leg is away from the seat base. Attach the ISOFIX arms to the ISOFIX points in your vehicle, you should hear an audible ‘click’ and the indicators will turn green. You may now have to push the child seat firmly into the vehicle seat back to secure the fit. Now lower the support leg to the floor, so that it fits firmly, but is not pushing the base of the seat upwards. If your seat uses a top tether strap instead, pass this over the back of the vehicle seat as instructed by your manual, attach to the tether point, and pull firmly – there should be no slack in the tether strap. *please ensure you attach your tether strap to a top tether point, indicated in your manual – and not onto a luggage hook. If your child seat fits using a separate ISOFIX base, you can now click the seat into place. Remember to follow your manuals instructions - some combination ISOFIX seats require you to fit it in full recline! Once you have clicked the seat unit into place, check that all of the indicators have turned green. Fitting a child car seat can be notoriously tricky, so we have put together our top tips to help you along the way! The key thing to remember with child car seats, is that not every seat fits every car. It’s easy to think that a belt fitted seat will fit with any seat belt, but there are many potential problems that can undo all your hard work and cause your seat to be fitted dangerously. Our blogs can help you learn about the dangers of buckle crunch, floor storage boxes and the most common fitting errors. It is important to seek help when choosing your child car seat, to ensure it is compatible with your car, and every car that the seat will be used in. Don't forget! It also has to be suitable for your child! Rear facing seats have blue guides, and forward facing seats have red guides. If your seat is able to fit rear facing, you will need to follow the BLUE guides. If your seat is able to fit forward facing, you need to follow the RED guides. The child seat manual is in many languages. Read the manual – Although the manual looks very thick and daunting, it is actually in many languages. The section you need to read is in fact very small, and contains lots of life saving information to help you keep your child safe. 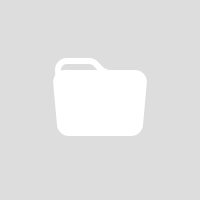 Also, familiarise yourself with the child safety section of your car manual, here you will find lots of information about how to best keep your child safe in your car. The car manual is also where you need to look for advice about putting your child in the front. Watch a fitting video a couple of times before you attempt to fit your child car seat – a majority of manufacturers have fitting videos for their products on their website. Some vehicles have very sculpted seats, which can cause fitting issues. When you place the child car seat in the car, the shell and base of the child seat must be in contact with as much of the vehicle seat as possible. It is possible for the shape of the vehicle seat to cause your child seat to be incompatible! Resist tipping your baby’s infant carrier seat further back to give a better recline, as it leaves a big gap underneath the seat – this negatively impacts the performance of the seat in a collision. A vast majority of child car seats must be fitted with the 3 point adult seat belt. Pull out a length of belt, and pass the lap belt through the lap belt guides, then click the belt in. Once you have clicked the belt in, firmly pull the shoulder part of the belt, so that it tightens the lap belt. Now pass the adult shoulder belt through the shoulder belt guides, but beware! The belt may not necessarily go through every guide! Take a moment to check the whole seat belt, at every point – ensure it is flat and untwisted. Now push the child seat firmly into the vehicle seat, whilst you are doing this, pull the shoulder part of the belt again to make sure there is no slack in the seat belt (as demonstrated in picture above) - both the lap part of the belt and the shoulder belt should be tightly fitted over the child seat. Lock off clips hold the seat belt tight, and tension systems help the seat belt to fit more tightly. Activate any lock off clips or tension systems on your seat. Ensure the seat moves no more than 1 inch in any direction - if your child seat wobbles, seek professional help! When fitting an infant seat, check the position of the carry handle. It is rarely pushed back behind the baby’s head, and is often upright or towards the baby’s feet. When fitting a forward facing group 1 seat, it can make fitting the seat easier to put it in full recline. It gives you more room to pass the belt through the guides on lots of seats. If the vehicle headrest causes a gap between the child seat and vehicle seat, or impairs the fit of the child seat, remove it. Stay tuned for our upcoming blog on how to fit ISOfix seats! A child car seat harness is there to keep your child in their car seat in the event of a collision. It also helps to spread the force of the crash, further protecting your child. A loose harness will not be able to restrain your child properly, and they are at risk of travelling too far forward in a collision. This could cause them to impact the interior of the vehicle, or come out of the harness altogether if it is very loose. To fix: Remove all puffy and thick clothing from your child, and pull the harness tight enough to allow you to slip two fingers flat between your child’s chest and the harness, at collar bone level. Child car seat harnesses must be adjusted as your child grows to restrain them properly, and we often find harnesses on group 1 car seats to be too low on children. On forward facing children, this is particularly a problem as it can cause the harness to sit incorrectly on the child, causing a risk of the harness slipping off their shoulders and not restraining them. It may encourage them to remove the harness due to discomfort, which is extremely dangerous in a collision. To fix: The correct harness height is for the straps to be level with a child’s shoulders, at the point they come out of the child seat. If you cannot get them at the same level as their shoulders, then they may dip below when rear facing, or sit just above the shoulders when front facing. On child car seats fitted with the adult belt, it is important that there is no slack on the belt, and that the belt is straight and untwisted. A slack seat belt will cause the child seat to travel too far forward in a collision, potentially hitting the seat in front or the interior of the vehicle. To fix: When fitting your seat, push your knee firmly into the seat, whilst you are doing this, pull the adult belt tight and lock off with the appropriate guides. We often have to demonstrate the correct routing of the adult belt as many people become confused with the fitting instructions. An incorrect belt route carries a risk of the seat moving too much in a collision, to it not being restrained at all and exiting the vehicle altogether. To fix: Read your manual carefully, watch manufacturer fitting videos, seek professional help and get your child seat checked. The headrest on high back boosters are often not increased with the child as they grow, which causes the adult belt not to sit across their shoulder safely. In a collision the chest part of the belt will not be able to restrain their upper body correctly. We also see younger children being allowed to use older siblings' seats as a ‘treat’ – to use another group stage seat a child must first be a suitable weight and height for the seat. If the child is not big enough for the seat, they should not use it, and if they fit into their own seat, they are safest using that. If they are the correct weight and height, then the booster head rest should be adjusted to suit the child’s height. To fix: Most high back boosters have a squeeze handle at the top of the head rest. Squeezing this handle will allow you to increase the height of the headrest to suit your child. Watch our video on common car seat fitting errors. Good Egg Safety is the leading organisation for in car child safety, and we have checked over 20,500 car seats since 2002. The child seat events are designed to give parents somewhere to go to have their child’s car seat checked, so they can make sure they are sitting safely. Over the years the rate of incorrect fitment has risen however, and over the last 5 years the rate of incorrect fitment has increased by 43%. The 5 year average for car seats being incorrectly fitted, based on over 12,000 checks, now stands at 57%. The amount of incorrectly fitted seats last year was 64% in Scotland, and 71% in England and Wales. Our research suggests there are a vast majority of seats being bought online, where a parent receives little advice on choosing the right seat, and no help with fitting safely. Other issues come from poor advice given by retail staff, and parents and carers accepting hand me downs and second hand seats. Anybody can have an incorrectly fitted seat, and it is not something to feel guilty or be embarrassed about, it is certainly better to find out any problems with your seat during a checking event, than in a collision! What happens at a child seat checking event? Child seat checking events allow our highly trained experts to be on hand to not only check your car seat for you, but to also answer all questions and queries you may have – no matter how small! We will also have a height chart available, stickers for the children and our handy Good Egg Guides for mums, dads and carers. There are two parts to getting your car seat checked – checking the seat fits your car and is fitted correctly, and checking your child fits the seat and is strapped in correctly. We can check your car seat fitment even if your child is not with you. We then check the seat belt is routed correctly, and we will inform you of any errors we find. If there are any errors with the seat compatibility or fitment, we will explain these fully to you, and then explain and demonstrate how to correct the issue. We are almost always able to correct errors and rarely have to recommend a new seat. We will ask for your child’s age, weight and check their height to ensure the seat they are travelling in is suitable for them. We will then ask you to fit your child into the seat as you normally would do. We check the harness is at the correct height and tension, and give any advice that may be necessary (such as removing thick clothing). If any adjustments are required to your seat we will explain these to you, and then help you make the adjustments. Finally, if the seat has had to be removed from the vehicle, we will help you put it back in – we always insist that you fit the seat yourself however, so you can be fully confident with the seat fitment the next time you have to take it out! "It is OK for your child to not use a car seat on short journeys" - FACT or MYTH? This is perhaps one of the most commonly misunderstood exceptions to the law, and the one most often misused. The law states that a child over the age of 3 may travel without a child restraint, on short journeys of unexpected necessity. The child must use the adult seat belt. An essential trip that you had no prior notice of. When the child may be at risk, if they do not travel. Emergency, unplanned trips to A&E/Doctors/Out of Hours Surgeries where no car seat is available. What sort of journeys are not acceptable uses of this exception? Catching a lift with a friend/relative to save walking. Trips that could be reasonably pre-planned (like a school run, or looking after friends/relatives children). Children under 3 years of age. Has this law exception for short journeys ever confused you? Read our blog on the other car seat law exceptions. Seven out of ten car seats for children tested in 2014 in England and Wales do not meet minimum fitting standards, Good Egg Safety announced today. Good Egg, which has tested 20,500 child safety seats in England, Wales and Scotland since 2002, found that 71% of seats tested in England and Wales were unsafe in 2014, and 64% in Scotland. The national average over the last five years has been 57%, but this masks a year on year increase from 47% in 2010 to 67% in 2014. The figures come at the same time as Department for Transport statistics revealing that the number of child deaths or serious injury on Britain's roads has risen for the first time in two decades. This means that two thirds of the children and babies in Britain are now at risk as a result of the seat being improperly fitted, incorrect for the size and weight of the child, or wrong for the make and model of vehicle. Online purchases, second hand seats and hand-me-downs have also contributed to a sharp 43% growth in incorrect fitting since 2010*. Good Egg online surveys also show that certain retailers are failing to give the necessary basic advice for a safe fitting. "This week's figures on casualties show clearly that we are not, as a nation, taking child car safety seriously enough. "The saddest thing is most parents and grandparents genuinely want what is best for their children, they just don't know how to choose the right seats nor how to fit them. "We've put all the advice that you need on our website, www.goodeggcarsafety.com, free of charge. If you're buying in a shop, insist that a trained sales assistant helps you fit the seat, and that you specify your child's height and weight and the car's model before buying. If you're buying online, don't unless you can put this information in. If the seat arrives without clear instructions for fitting and testing, then send it back. If you're offered a second hand seat, just politely decline: there is very little chance that a second hand seat will be right for your car and your child - you wouldn't entrust your child with a stranger yet that's exactly what you are doing if you place them in a seat without knowing its history." "TRL is committed to providing parents and retailers with a full understanding of the potential consequences of an incorrectly fitted child seat. Working with Good Egg Safety, TRL offers training courses to those advising parents on the correct fitment of seats to reduce the risk of incorrect usage. 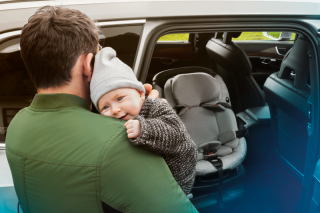 TRL is also developing a new star rating system which will help consumers make an informed choice when buying a child seat, and will include an assessment of the usability of the seat." "There are so many different makes, styles and versions of child car seats that it isn't surprising that so often the seat parents (or grandparents) have bought is either not the best one for that car or is proving difficult to fit securely every time you make a journey. We strongly recommend that parents check if their car has ISOFIX child seat securing points - most new cars have had these for some years now. Using an ISOFIX seat means that the seat is bolted into the frame of the car and is not entirely dependent on the tightness of the adult seatbelt around it. It usually also needs a single tether to be tightened as well but is more user friendly for parents. We welcome the latest report from the Good Egg team. We are pleased to support Good Egg with their clear and helpful guides for parents and appreciate the work they do in supporting local road safety officers to help parents provide the best protection they can for their children." "Having supported Good Egg Safety for over 12 years, I can only repeat and emphasise its message on the importance of correctly fitted seats for children. As a company we sell in excess of 200,000 vehicles per year and have a duty of care to ensure that our customers are safe on the road. I would encourage those travelling with children in their car, to ensure they have the correct seat for their child and that it is fitted correctly, if in doubt have it checked by a professional or consult the advice on the Good Egg Safety website." "It is always a challenge to belt little children into their seats and when we change the seats from one car to another fixing them is even more difficult, but for me advice from an expert made all the difference. My advice to all grandparents is to seek that advice and do a practice run under expert supervision." "We know that ease of use and intuitive installation are vital factors in the correct installation of child car seats, which is why we ensure Maxi-Cosi seats are as easy for parents to fit as possible. "Many of our car seats are fitted with light and sound sensors that let parents know when the seat has been properly installed. This ease of use and installation - in combination with leading car seat safety innovation - results in Maxi-Cosi doing so well in ratings tests." "In-car safety for little ones is about two things: maximising their protection by fitting the right car seat properly and minimizing their risk by avoiding being in a collision in the first place. It's clear from these new figures that this vital information needs to be made more readily available to the public. Drive A Child is working with Good Egg Safety to make this happen. Our easy-to-use, online information and e-learning programme is the new go-to place for in-car safety. The aim is to make every journey you take safer and ensure seats all over the UK are fitted correctly." "Being Product Development Director at Mamas & Papas is a big responsibility and so is being a parent. I need to know my little ones are as safe as possible every minute of the day and I want to know our range is as safe as possible too. After all, the statistics are truly frightening. "That's why we've completely redesigned our car seats collection, handpicking the very safest products from brands all over the world to find the best innovations. We've also made sure you have crystal clear installation instructions that makes sure its fitted perfectly every time." Can my child sit in the front seat once they are forward facing? This is possibly one of the most commonly asked questions that we get here at Good Egg HQ, and we are unable to give a straight yes or no answer. When it comes to children sitting in the front when forward facing, the airbag requirements are different with each vehicle. The only way you can find the answer to keep your child safe is to check your vehicle manual. Not all vehicles allow children to sit in the front. 1) Children in the back - make sure they have plenty of room for their legs, if the front seat is too close, they will be at increased risk of leg and head injuries. 2) When pushing the seat back, make sure the fit of the restraint is not compromised. The seat belt needs to be pulling the seat back, not situated forward of the seat belt routing point. Lots of parents allow their children to sit up front as a treat - however children are in much more danger when in the front. There is not only danger from the airbag, but also from side airbags and anything penetrating the car in an impact. Children are also then closer to the force of a frontal impact, which is the most dangerous type.